Daisies is taking over the former Analogue bar, 2523 N. Milwaukee Ave.
LOGAN SQUARE — The farm-to-table restaurant taking over the former Analogue bar is set to open June 7. Daisies, 2523 N. Milwaukee Ave., is the first restaurant for veteran chef and Logan Square resident Joe Frillman, who has cooked everywhere from Balena and The Bristol, to, most recently, Perennial Virant. At Daisies, Frillman went with a menu that's heavy on fresh pasta and locally-sourced ingredients. Patrons can expect dishes like arctic char with corn porridge, beet and cabbage slaw; ricotta gnocchi with asparagus and chicken jus; and lentil ravioli carbonara with ham, ramps and egg yolk. Most of the ingredients are sourced from Frillman Farms, which is owned by Frillman's younger brother, Tim. Located in Prairie View, the farm is known for its freshly laid eggs and wide variety of Heirloom tomatoes. The interior of the 70-seat restaurant, which was described as "both polished and inviting," will feature some of Frillman's sister's artwork. Back in January, when the restaurant was first announced, Frillman told DNAinfo Chicago he wants Daisies to be a causal neighborhood spot for newcomers and longtime residents alike. "We want to make it very approachable for everybody," he previously said. Daisies​ will be open from Wednesday through Sunday from 5-10 p.m.​ Frillman is planning to launch brunch and lunch service sometime after the opening. Daisies is replacing Analogue, which closed last summer not long after an ownership shakeup. 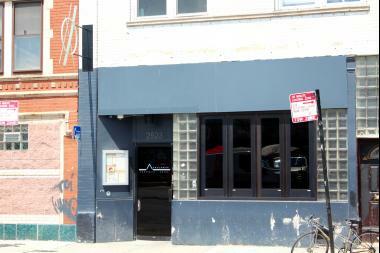 The bar was originally opened by owners Henry Prendergast and Robby Haynes, who were veterans from the highly-acclaimed Wicker Park cocktail bar Violet Hour. The duo initially focused on drinks, but moved in the direction of Cajun/Creole food under chef Alfredo Nogueira. For more information on Daisies, visit the restaurant's website.